Editor's Comment - This interview was initially published on www.linkedin.com by Lere Fashola on 08/03/2016. Tell us a little about yourself and how your career has evolved over the years. Well, first of all thank you very much for arranging this interview and for featuring me in your magazine. I started my legal career in the early 80s after graduating from Ahmadu Bello University Zaria in 1979. I was called to the Bar in July 1980. I did the National Youth Service in Rivers State between1980-1981. I returned to the Ministry of Justice Kano and remained in the service of the Kano State until 1993. My early legal career was in thus in the public service. I had the privilege of working with many bright minds. At the ministry my colleagues included Prof. Mohammed Tabiu, Tijjani Borodo, Mrs Maryam Uwais, Mr S. Saeda, SAN and many others who left to pursue various other careers. We worked under the tutelage of distinguished lawyers like S.U. Minjibir (later Chief Judge of Kano), R.D. Mohammad (later JCA) now retired. Late S.C. Yusuf (later Chief Judge of Kano). On the Kano bench we had eminent Justices like Dahiru Mustapha, (former CJN), Justice Alooma Maryam Mukhtar (former CJN), Justice Aikawa, late Justice Rowland later JCA). Justice Fernandez who later moved to the Lagos judiciary. Kano had been home to very many prominent lawyers. Many prominent Nigerian lawyers or jurists had a stint in Kano. The list was very impressive: Belgore, Akanbi, Noel Grey, Uwais, Fabeyi, Kaloma, Majiyagbe etc. The standard of practice was extremely high. I dare say Kano at the time was the hub of commercial and criminal justice practice in Northern Nigeria. The law reports bear this out. Outside Kano, I was lucky to work with very many prominent lawyers. Back in the early 80’s I appeared against HE Judge Bola Ajibola in a famous case. He was then in private legal practice. From then onwards he took interest in me and became a mentor. Our relationship continued when he became of Minister of Justice and even when he moved to the World Court in The Hague. I visited him there in 1994. He personally took me around to meet the Justices of the Court and showed me around the impressive facilities of the Court. The only other significant issue I can mention in the evolution of my legal career was that I met my wife Justice Pat Mahmoud during our youth service in Port Harcourt. We got married in 1983 and she moved to Kano in January of that year. We worked together in the Ministry until she joined the Kano bench in Dec. 1991. I retired from public after serving as Attorney General of Kano 1993 luckily at the age of 36 or so. We then jointly founded the law firm of DIKKO & MAHMOUD in November of that year. We started the practice with Alh. A.B. Dikko who had just then retired as Attorney General of Kebbi. As you can imagine, the two or so decades have witnessed tremendous changes in legal practice. There is a paradox of some sort, if you like. At some levels, there has been huge transformation in the nature of legal practice, a lot of positive changes, we have new, bigger and better managed law offices. At the same time the quality of legal training, standards of ethics have gone down considerably. I think this question is an extremely important one. It raises fundamental question about the structure and the organization of the legal profession in Nigeria. For many years we have been grappling with declining standards in the legal profession. There are serious ethical issues. There are also serious complaints about professional misconduct amongst lawyers which tend not to be addressed swiftly. The time has come when should be asking some hard questions. We need to interrogate the architecture of the regulation profession in our country. In the UK for instance, the Legal Services Act 2007 introduced major reforms in the structure of the regulation of the legal profession in that country. The legal profession was no longer to be self -regulating. The representative arm of the profession was separated from the regulatory arm. The Legal Services Board acts as overarching regulator. The Bar Standards Board regulates the Bar with the Bar Council remaining as the representative arm. The representative arm for the solicitors is Law Society and the Solicitors Regulatory Authority regulates them. The question of course for is: is the existing system outdated? Do we need a new representative and regulatory structure for the legal profession in Nigeria? Successful reforms have been undertaken in many other countries, and even in our sister African countries for instance Kenya, Ghana have all embarked on serious reforms. We should examine their experiences and see what we can learn from them. The exponential growth of the legal profession in Nigeria, now the largest in Africa, suggests to me that we need to review the system we have inherited essentially since our colonial days. How do ensure that the quality of legal education is improved and tailored to meet our national aspirations and development goals? How do we ensure that the business of legal practice that is delivery of legal services is properly regulated such that the consumers of such services are assured of consistently good services? How do we ensure that ethical standards are maintained at high levels and breaches are swiftly addressed? How do we ensure that the legal profession remains alive to its responsibility of safe guarding the institutions of justice, monitoring their efficacy, guaranteeing access to justice and promoting the rule of law? The challenges we are facing today call new and more innovative approaches if we are to remain relevant as a profession. There is a lot of concern as what appears to be seeming rot in the Nigerian justice system. Prosecution of criminal cases, especially corruption related offences leaves much to be desired and Nigerians are losing confidence in the judiciary? What is your assessment on the state of our justice sector? I believe it is obvious to most observers that the justice sector in Nigeria and in particular the criminal justice administration system has reached a level of dysfunctionality that is unacceptable. It is not consistent with the working of a modern democratic state. Nowhere is this more evident than in the clear inability of criminal justice institutions to effectively deal with corruption cases. If this is not corrected, it portends great danger for the country. It is embarrassing that we have seen far greater results in trials of high profile corruption cases emanating from Nigeria in foreign courts than in our domestic courts. Last year the Administration of Criminal Justice Act was passed. It is perhaps too soon to judge its efficacy. That aside, I think what is needed are perhaps much deeper reforms which will focus on several elements: bringing attitudinal changes in the legal profession; aligning resource allocation to properly equip the agencies of the justice sector; and dismantling or rupturing the current veneer of opaque rules or ethos that impede the tackling of corruption in the legal profession including the judiciary. I think we have a historic opportunity to face these challenges now. The convergence of economic difficulties that make the rentier state model unsustainable and the recent emergence of political leadership with clear popular legitimacy that appears serious on these issues gives us a golden opportunity for system shake-up. Unfortunately, the administration has lost a bit of time, but I think it is doable. The legal profession should lend its weight behind this. Alternative Dispute Resolution (ADR) offers a huge potential for off-loading and relieving the already overburdened court system. It offers a more effective, speedier system for resolving disputes. Besides, there are many disputes, say in the commercial world or family law that are not amenable to effective resolution through an adversarial and slow justice system of the courts. What is needed in my view is enlightenment and education of the users of the justice system to appreciate and accept ADR. Lawyers need to be embrace the culture and ethos of ADR. 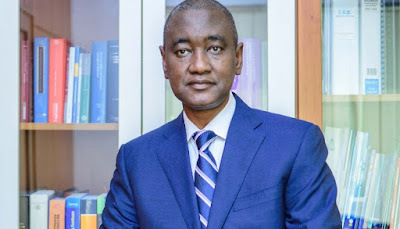 Many Nigerian lawyers pay lip service to ADR. We continue to approach ADR with a litigation culture. ADR now has become another layer in the tedious and slow process of litigation. We need to invest sufficient resources to train lawyers and also to enlighten users. We also need to provide new and improve existing facilities in our arbitral institutions as well as provide the supportive personnel and services. Nigeria needs to sell itself as a friendly center for Alternative Dispute Resolution. Unfortunately, in the last several years, there is hardly any major arbitral award that has not ended up in court. This is not good for the country. It negatively impacts on the perception of Nigeria’s business climate. Slow and costly dispute resolution regime adds ultimately to cost of doing business. Judges must and should play their role of promoting ADR and respecting its outcome. They need to be equipped to do so. The Government should make this top-priority. With regards to case management, the main issue is that efficient case management should be an effective tool for better deployment of judicial time and resources. A good case management system equips the Judge to take charge of the litigation process, save cost and ensure that cases are more efficiently managed and tracked. Here technology is key. I should point out the basic strategy have been developed in various policy documents. What is required is implementation. I had the privilege of working in the Judiciary Sub-Committee of the Vision 2020-20 Committee. The issues around ADR and case management including deployment of technology in the court rooms were identified and policy framework developed. We need to work to implement these. What do you consider the opportunities for Change and economic development in Nigeria? Well as lawyers we try to focus on the role of law as a facilitator of change and development. That indeed is the primary purpose of law and legal institutions: to bring about happiness and prosperity to the greatest number of people. To the extent that our country has failed to realize its full potentials, and our people remain largely poor is a reflection of the failure of the legal order. It is thus the task of lawyers, jurists and legal professionals to reform the legal order to bring about the desired change in society. Without doubt Nigeria has great new opportunities now. It is somewhat paradoxical that the largest economy in Africa is supported by the legal order that we have in Nigeria. What this points to, are the huge potentials that a reformed modernized legal system and legal profession can unleash. After the elections last year and the peaceful change of administration, you could see that Nigerians were proud of their great achievement. The atmosphere was pregnant with great expectations. This coming after the effective containment of the Ebola crises sent a message to Nigerians: that we could do it! What was needed was the right leadership and commitment. Nigerian lawyers can and must champion the reform of the legal profession. This in my view is a pre-requisite for economic transformation. There are reports of International Law Firms seeking to enter the Nigerian legal market. Many senior lawyers are reportedly against this incursion. Others believe it is inevitable given the global trends. How should the NBA and Nigerian lawyers prepare for this? I think international law firms are already in the Nigerian legal market. There is considerable amount of legal work that is already outsourced in various ways to international law firms you are referring to. This is happening in cross-border transactions, in many other transactions in various sectors, the energy, in telecoms etc. Nigeria has been a signatory to the WTO since 1995. It is yet to make a commitment under the GATS to liberalize legal services. But this is a matter of time. I believe the NBA already has a task force on this and has been working with the Ministry of Trade and Investment trying to shape a framework or at least make inputs into the process. The NBA and Nigerian Lawyers have to prepare for this. It will happen. The preparation in my view has to involve short term and long term strategies. In the short term, it is about capacity building, reorganization of law firms, pooling resources together and developing strategic alliances and investing in enhancing legal resources available to our lawyers. The longer term dimensions will include reforming legal training to equip Nigerian lawyers appropriately to be more competitive globally. We also need to look at our legal curriculum. Nigerian lawyers in the diaspora that is those who trained or practice abroad have a role to play. The NBA should harness their resources. I think we should not see this just as a threat but also as an opportunity. So long as Nigeria remains part of the global economy, we cannot insulate or isolate the Nigerian legal profession or legal market from the effects of globalization. We can prepare ourselves, we probably negotiate some aspects and we can also position ourselves to take some of the opportunities. Disruptive and innovative technologies makes an isolationist strategy futile. The Boko Haram insurgency has wreaked havoc in Northern Nigeria. How have lawyers practicing in the North been able to cope with this crisis? The insurgency has caused enormous hardship in the country. The Northeast is of course the worst affected. Economic and social life have been disrupted and there is currently a severe humanitarian crisis. Lawyers like other citizens have been severely affected. Some have lost their lives, others their means of livelihood. Many have been forced to relocate. The courts, like other social and community infrastructure, like schools, markets etc have shut down. Last November, some of us accompanied Mr. Austin Alegeh, the NBA National President to Maiduguri to attend a one-day human rights awareness workshop. And he must commended for the brave initiative. Moving through Maiduguri and visiting some of the affected people, injured soldiers, detainees and listening to our colleagues, we were shocked at what we saw and what we heard. Observing the destruction and the desolate environment was heart breaking. It was clear to me that frankly we have not paid enough attention to the fate our colleagues not to talk of the wider community that have been victimized by this brutal insurgency. NBA needs to be more actively involved not only in supporting our colleagues, but in the whole process of rebuilding the Northeast. We need to pay attention to the issues around the administration of justice, the gross human rights abuses but also how to deal with the problem of detainees. Rebuilding the justice system and dealing with issues of transitional justice in the region are of strategic importance and a critical element of reconstruction in the Northeast but also of avoiding future conflicts. The NBA should provide leadership in this direction. I am happy our President has shown leadership in this area. Young lawyers appear to be disenchanted. Many complain that they are not well paid and are unhappy. What is your view on this? And what is your advice to younger members of the profession? The legal profession in Nigeria has grown exponentially in the last two or so decades. I believe every year, between five thousand to six thousand new entrants are admitted into the legal profession. This growth has not been matched with similar growth in the economy. Indeed in some respects, the opportunities have dwindled. Be that as it may, the legal profession must address the issue of the welfare and wellbeing of all lawyers especially the younger ones. This has huge implication for the quality of services and standard of ethical behavior. If this is not addressed, it will affect the future of the profession in the long run. I will strongly advocate some measure of standardization. We should work to implement minimum pay, enhance welfare and provide decent work environment. We should formalize employment in law firms and these should be monitored. We should explore a flexible system of licensing law offices and require them to meet certain standards tailored to particular environments or regions. But ultimately what is important is to create more opportunities both in the public and private sectors for lawyers. The senior lawyers must lend their weight to the creating more opportunities for younger members of the profession. They should also try and mentor them and involve them in the work of their firms at all levels.    Tell us a little about yourself and how your career has evolved over the years.